John Gilbert-Lodge founded Gilbert Lodge and Company Limited in 1908, started trading in 1911 and formally registered the Company on the 12th May, 1919. The firm grew to become a well-established leader in the Australian and New Zealand distribution of Machine Tools, industrial products and specialty metals and fasteners. Gilbert Lodge and Company Limited had various owners over many years including Atlas Steels Limited and was renamed Atlas CNC Machines Limited in 1992. The Atlas Steels Group was acquired by Email Limited in 1996 who themselves were acquired by Smorgon/One Steel in 2000. At that time they announced the planned divestment of Atlas CNC Machine Limited. 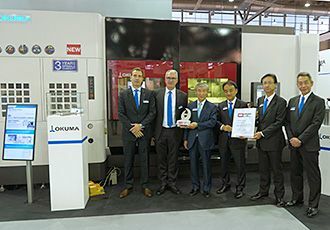 In March 2002, Okuma Corporation, Japan's largest publicly listed machine tool builder at the time, acquired all shares and the balance sheet of the Company, reverted to private company status and registered the new name, Okuma Australia Pty. Ltd. The Okuma commitment to quality and service began in 1898 under the guidance of a 28-year-old Mr Eiichi Okuma who founded the Okuma Noodle Manufacturing Machine Company. 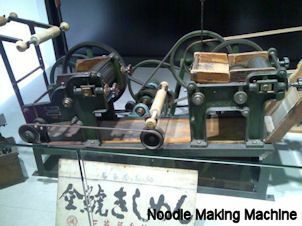 The Company manufactured noodle, cigarette, woodworking and printing machines before rapidly growing to become a leading supplier of lathes, radial drills and slotting machines. The Company was renamed Okuma Machinery Works Limited and again to be known as Okuma Corporation today. Okuma Australia and Okuma New Zealand are both valuable and successful members of the Okuma Worldwide Global Network, specializing in the distribution installation and commissioning of high quality CNC Machine tools, robotics, factory automation and turnkey projects, after sales training, spare parts and field service. With offices in Melbourne, Auckland, Sydney, Adelaide, Brisbane and Perth, the Company has maintained a consistent industry leadership due mainly to the trust that has been earned from the high returns on investment in the Okuma brand, longevity of product, serviceability, reliability, productivity and, importantly fair mutual dealing with the customers with whom we deal. If you are interested in learning more about Okuma's History please call 1300 1 OKUMA (1300 1 65862) or email.